Handyman Exterior & Interior Cromwell Road SW5 | RDA Cleaning & Maintenance Ltd. When you need some help with a few repairs and odd jobs in your house, RDA Cleaning & Maintenance Ltd. is there for you. The professional handyman company in Cromwell Road SW5 offers handyman service, which is absolutely perfect for your needs! All our experts are very carefully police background checked, experienced and multi-skilled. 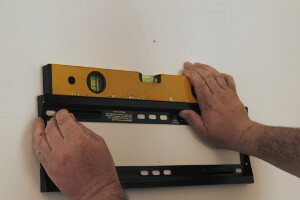 Any one of our handymen can do all kinds of repairs, maintenance and odd jobs for our customers. This service is hourly based, with fixed prices, and a discount for booking half and whole day domestic and commercial handyman packages. To get a price estimate, call our customer support operators at 020 3404 1646, or send us an online request here. We have been doing our best to provide all you private and business customers residing in Cromwell Road with the highest quality, and most affordable plumbing, carpentry, painting & more services in the area! Our specialised handyman service is perfect for tenant, landlords, business property owners, and just about anybody who has a home or business property in the area. Our employees are multi-skilled, so they can handle more than 1 repair, maintenance, renovation or odd job at 1 booking, if there is sufficient time. You can save time and money by booking the half or full day packages, which come with great discounts. To book our handyman service Cromwell Road SW5, contact the customer care centre at 020 3404 1646 or online via the contact form here. They will process your request, and will send you a confirmation via text message and e-mail very soon. We do not require a deposit to be paid for the booking. The handyman service is hourly based, and the minimum time to book is 1 hour. If you book a half or full day package, you will get a sizeable discount. We do offer same day services, but if you don’t have an emergency, it is wiser to book early, because you will get preferential prices. We are available 365 days a year, as well as after working hours in the evenings for your convenience. Book our service right away! The nearest tube station serving SW5 Cromwell Road is Fulham Broadway.